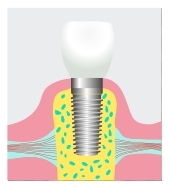 Dental implants play an essential role in restorative dentistry. Because they are permanent prosthetics that are both natural-looking and cosmetically appealing, implants can be used either for cosmetic purposes or for complete full-mouth restorations. When a single tooth is lost, other teeth surrounding it may begin to shift, resulting in an unsightly appearance. In the past, bridges were the preferred method of cosmetic restoration, but surrounding teeth had to be damaged in order to support the prosthesis. As an alternative, many patients seek dental implants as a means of improving cosmetic appearance following the loss of a tooth. A dental implant has the look, feel and function of a natural tooth, and it’s positioning within the bone where the prior tooth was once rooted prevents other teeth from shifting out of place. The result is a visually appealing smile the wearer can be proud of. In some cases, all of a patient’s teeth need to be replaced due to decay or other oral health complications. The teeth are vital to communication and digestion, so replacement is no longer a matter of cosmetic preference – but necessity. Options for full mouth restoration are limited to dentures or dental implants. More and more patients are choosing implants over dentures, as they provide a permanent solution that requires less maintenance and also preserves more of the natural maxillofacial bones surrounding the teeth. 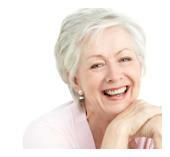 Who Qualifies for Dental Implants? Looking for a great implant dentist in Mission? For more information please call our office to schedule your consultation. Thank you for choosing us to be your dental health care providers in Mission. Following a good oral hygiene routine and receiving regular dental check ups are ways to keep your healthy smile.